Replacement element for Base Camp Pro 10L and Gravity Camp 6L. Gravity Camp 6L and Base Camp Pro 10 L ultra flow microfilter cartridge. 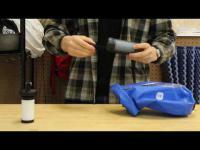 Works with Katadyn Gravity Camp 6L and Base Camp Pro 10L Microfilter Systems for removing bacteria and cysts such as Giardia & Cryptosporidium. 0.2 micron Ultra Flow Filter pleated glassfiber. 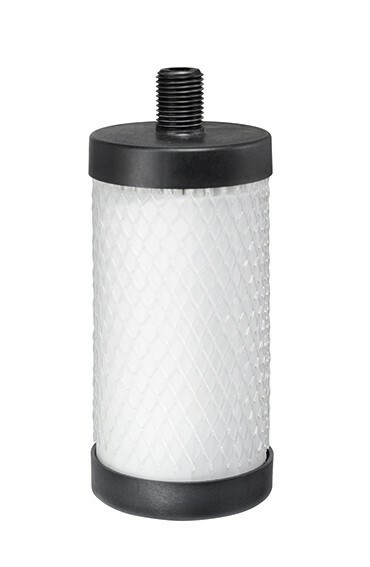 A cleanable filter protector lengthens the lifetime of the filter element so it can clean up to 1,500 liters of water. Suited for turbid conditions.